Elizabeth J. 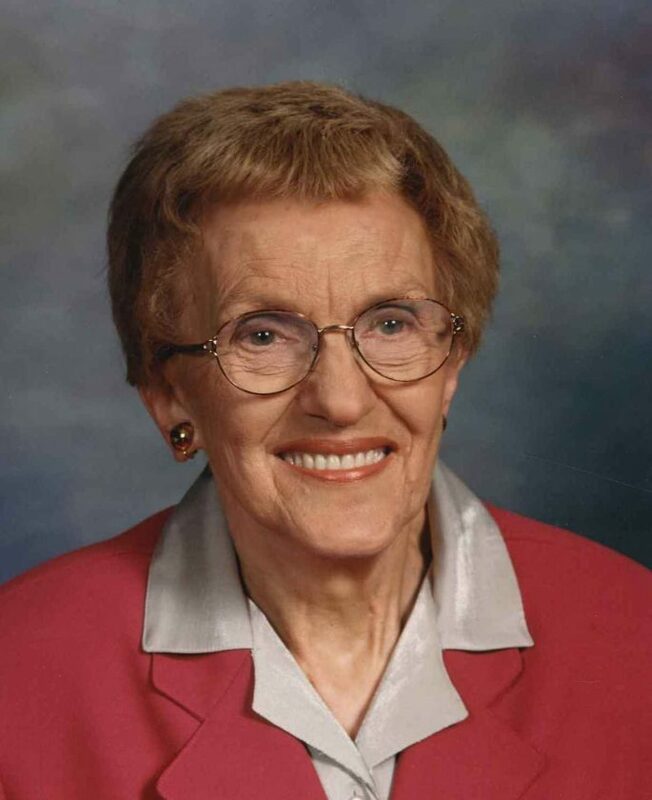 “Betty” Caflisch, 92, died peacefully at home on Sunday, Feb. 3, 2019, surrounded by her family and some very dear friends. She was born Nov. 27, 1926, in Erie, Pa., a daughter of the late Louis and Ruth Amidon Scarem. Betty was raised in Findley Lake, N.Y., and later moved to Syracuse, N.Y., with her family, where she graduated high school and attended Syracuse University. On Sept. 12, 1946, she married William (Bing) L. Caflisch and settled in Clymer, N.Y., where they lovingly raised five sons. They enjoyed the quietness of the countryside and loved where they lived. Betty was devoted to her family and found pleasure with several roles in her life as a wife, mother, home- maker, grandmother and later, caretaker to her husband and father. She spoke to so many with her musical talents. She was a beautiful pianist and enjoyed gospel music, playing for many local churches, always willing to share God’s gift of salvation with anyone she met. From 1977 to 2003, Betty accompanied on piano for the Good News Quartet who performed for numerous churches and audiences throughout the area. One of the most treasured highlights in her life was visiting Christ’s birthplace in Israel. As years passed, Betty enjoyed the wildlife outside her living room window and the many friends who came to visit and assist her in her home. She’d often spoke of her family and the joy she experienced watching her grandchildren grow. Even in recent days, you would still find her sharing her chocolates with and playing piano for her greatgrandchildren, who were often found singing and dancing to her music right along side of her. In addition to her parents, Betty was preceded in death March 22, 1987 by her husband, William (Bing) L. Caflisch; a son, Paul Caflisch; a brother, William Scarem; a sister, Joyce Post; and two daughters-in-law: Lluella Caflisch and Elaine Caflisch. Betty is survived by a brother, Paul Scarem and his wife, Sharon of Findley Lake, N.Y.; four sons and their wives: David (Cynthia) Caflisch of Jamestown, N.Y., Philip (Elaine) Caflisch of Lakewood, N.Y., Bryan Caflisch of Clymer, N.Y., and Dan (Laura) Caflisch of Clymer, N.Y. She is also survived by 10 grandchildren: Lee Caflisch, Sara (Levi) Smith, Anna (Capt. Christopher) Caflisch, Mary Caflisch, John Caflisch, Katie MacDonald, Maj. Scott (Kate) Caflisch, Carolanne (Michael) Keim, Nicole Rollins and Adam (Erin) Nietupski; six great-grandchildren: Graydon, Emerson, Natalya, Cade, Jenavieve and Finnegan; and many nieces and nephews. Family and friends are invited to attend a memorial service and celebration of life at the Bracken Funeral Home, 315 N. Center St., Corry, Pa., on Saturday, Feb/ 16, 2019 at 10 a.m. Betty’s nephew, The Rev. Brett Scarem will officiate. Burial will be in Holland Cemetery, Clymer, N.Y. In lieu of flowers, memorials may be made to the Chautauqua County Hospice & Palliative Care, 20 W. Fairmount Ave,, Lakewood, NY 14750. The family expresses many thanks for the caring support and heart felt compassion of the Chautauqua County Hospice staff and Betty’s caregivers, Terri- Lynn, Amanda, Krista, Donna and Mindy over the past several months.